I don’t know about you but when I find something I like, I often stick to it without venturing outside my comfort zone. If it ain’t broke, don’t fix it, right? 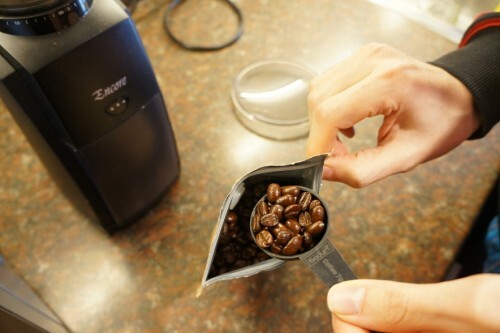 And when it comes to coffee, I always purchase the same coffee beans every second week. 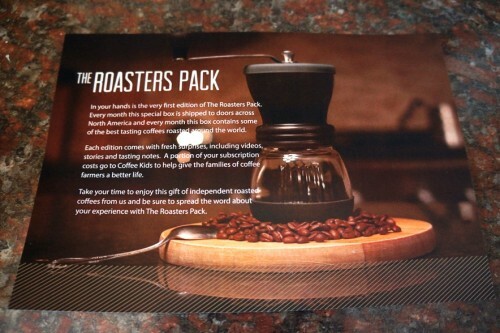 Cue the Roasters Pack (@TheRoastersPack). 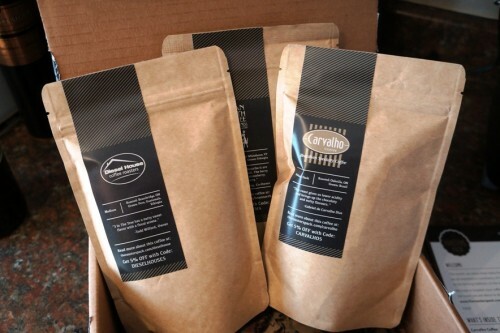 This monthly subscription service will deliver a box of hand-picked independent roasted coffee beans to your door. Co-founders Suneal Pabari and Adam Frank wanted to showcase independent roasters from around the world. They founded the Roasters Pack in 2013 and before sending out their inaugural box, spent time interviewing, tasting and brewing with unique roasters. So, let them do the heavy lifting and every month you’ll be sent a sample of coffee beans you’d never otherwise try. The monthly subscription, which is available in Canada and US, ranges from $26.95 to $29.95 per month depending on how long your subscription is (one month, three months, six months and twelve months). 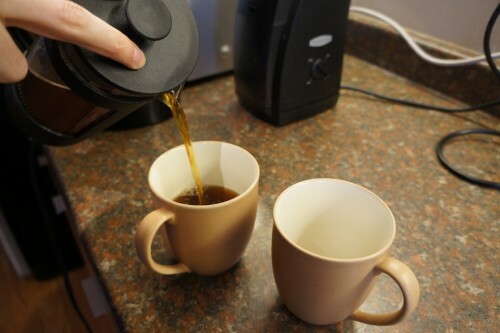 A portion of the costs go to Coffee Kids, an organization that works with coffee-farming communities in Latin America. 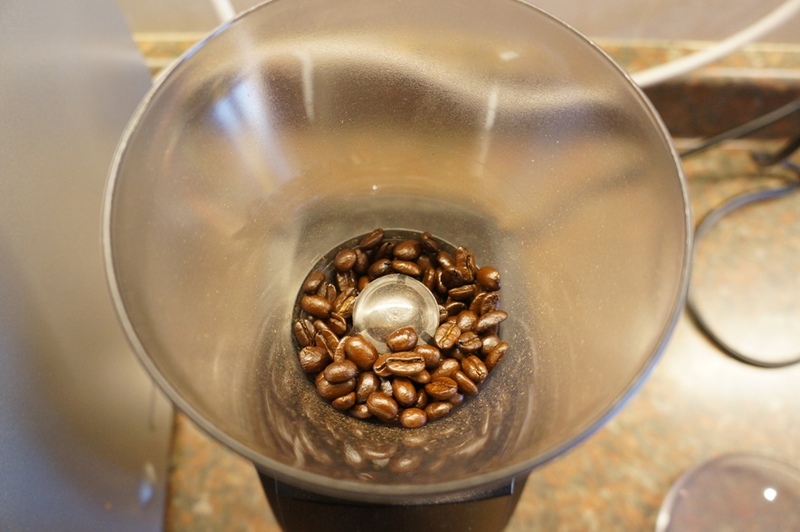 You can also choose your grind – whole beans, coarse, medium, fine and extra fine. Each box comes with 12oz’ of independently roasted coffee (4oz sample per roaster), tasting notes and a special bonus (limited edition prints, coupons for coffee deals, etc). I was sent their March box which consisted of Carvalho Coffee – Brazilian Medium Dark , Bean North Coffee Roastings – Ethiopian Sidama and Diesel House Coffee Roasters – Three in the Tree. 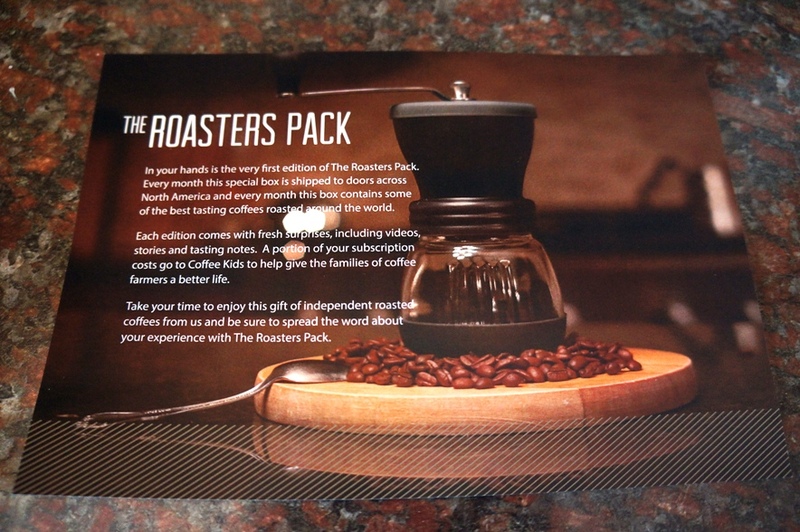 I appreciated the fact that the box came with tasting notes and a bit of background about each roaster. My favourite of the three was the Carvalho. As promised, it had a lovely chocolatey and nutty flavour to it! 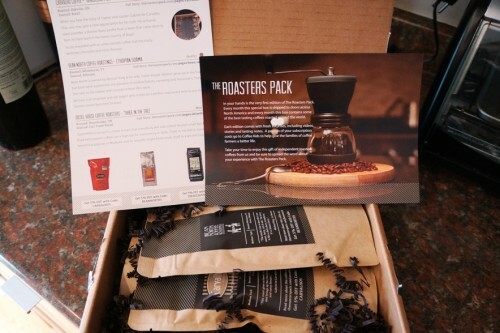 Interested in getting your own monthly Roasters Pack? Sign up here: http://theroasterspack.com!